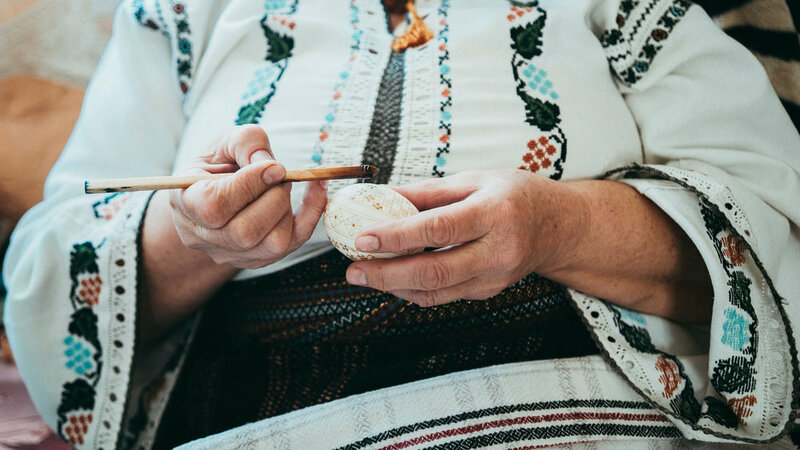 Somewhere in Moldovita, the tradition of Easter egg painting lives in the skilful hands of Elisaveta Morosan, so called Madam Saveta. With a contagious laughter and always up to joking around, she started to be passionate about her craft in her childhood, thanks to her grandparents and mother. 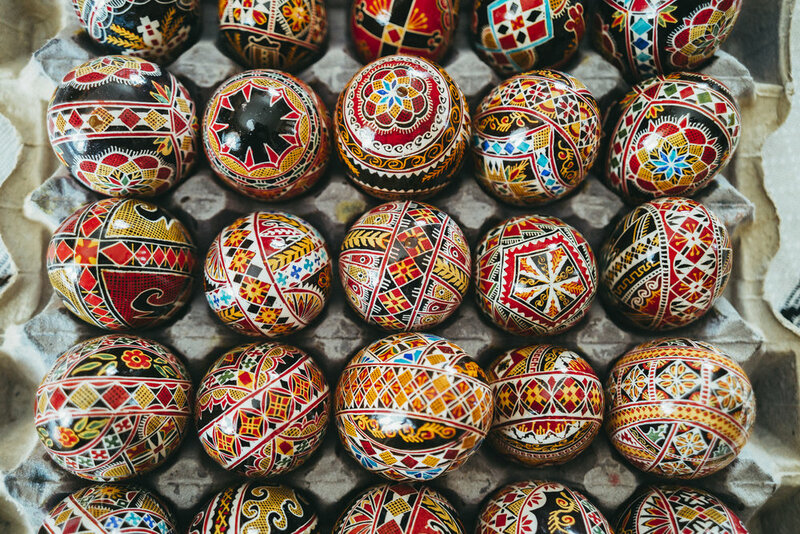 The motifs painted on the eggs symbolise traditions and ancient customs. 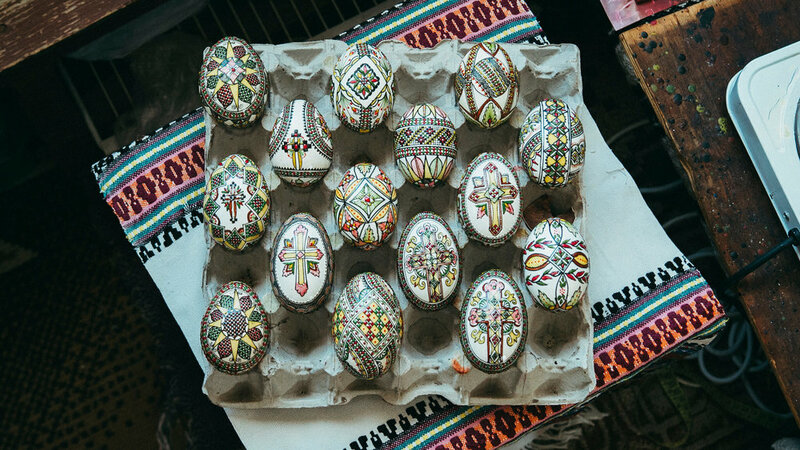 The Easter Cross and the love for holidays translate into patterns which add up to the beauty of painted eggs and the ones who enjoy them. 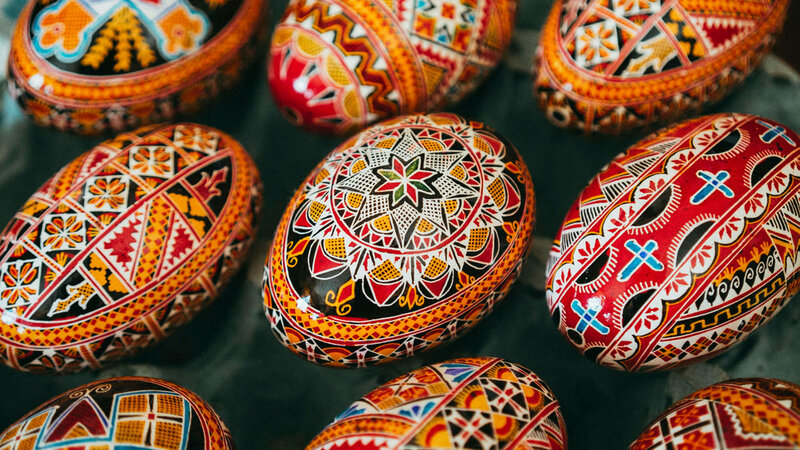 The lost path, communion wafer, geometric patterns, traditional patterns, towel patterns or traditional shirts - all of these transform into soulful drawings made by the skilful hands of the egg painter. Madam Saveta is as full of life as the eggs she works on with so much passion. The most used colours for this craft are yellow, red and black. Less green, because that’s what tradition dictates. Each painted egg has its own story. At first, a bigger and clean egg is chosen to accommodate the drawings. Then, using a special tool for egg painting, Madam Saveta tracks with clean wax a white pattern. After this process, the egg is dipped entirely into yellow paint. Chemical paints are used the most for this art and are the easiest to use. The wax settles at first on the yellow paint, then the egg is dipped into red paint, then dried completely and tracked again with wax to impregnate the red colour into the pattern. Then the egg is dipped into black paint, dried, warmed with a flame to melt down the wax. After this, the egg is wiped clean and the colourful pattern remains on it. Madam Saveta didn’t get rich doing this work; agriculture and the kettles bring her the income she needs for the day to day life. 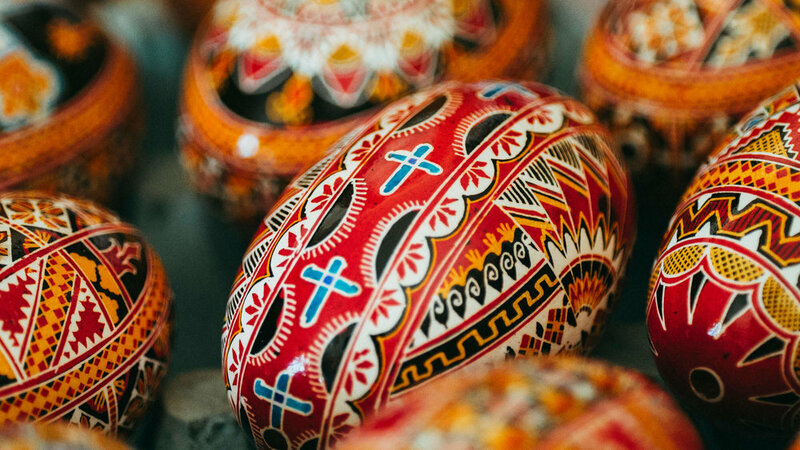 Painting eggs however is a special pleasure for the craftswoman, because she is continuing an old tradition from her ancestors. 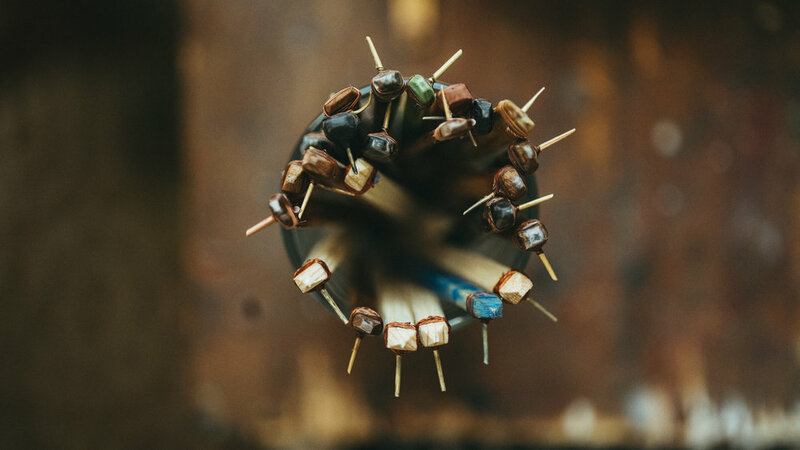 The tools she uses for her craft are a gift from her parents and grandparents, carrying away with them a piece of their souls. Madam Saveta passed on her knowledge to her children and grandchildren, who learnt the craft on their own just by watching her “writing” stories on the eggs. 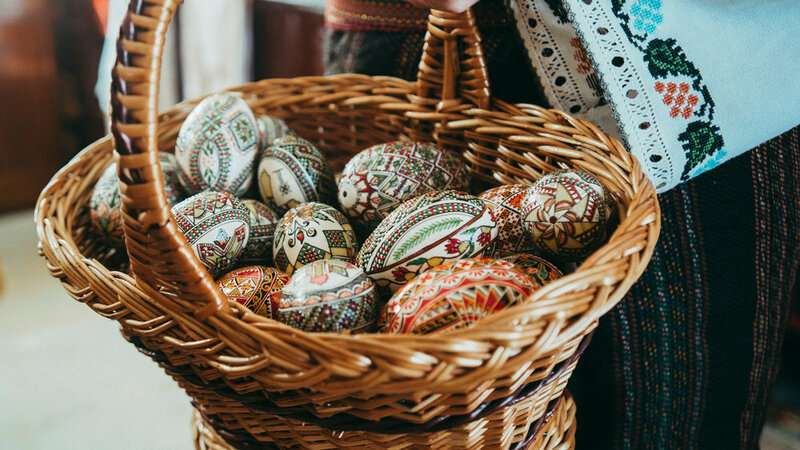 In the end, the beautiful eggs end up on the Easter table baskets of those who appreciate their charm, be it locals or foreigners who want such eggs as souvenirs. You can’t put a price on passion - and even if it’s not putting food on your table you shouldn’t abandon it, Madam Saveta advises.